PrawfsBlawg: The Professor’s Role: Helping Law Students Put Legal Knowledge into Practice. 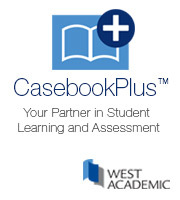 The following post is sponsored by West Academic. Grover E. Cleveland is a Seattle lawyer, speaker and author of Swimming Lessons for Baby Sharks: The Essential Guide to Thriving as a New Lawyer (West Academic Publishing, 2010). He is a former partner at Foster Pepper PLLC, one of the Northwest’s larger firms. His clients included the Seattle Seahawks and other entities owned by Microsoft co-founder, Paul Allen. Grover is a frequent presenter on new lawyer career success at law schools and firms nationwide. Readers may connect with him on LinkedIn here or follow him on Twitter @Babysharklaw. He is not related to the 22nd and 24th President of the United States. Law schools have been unfairly maligned in some circles for not providing enough practical skills training. For decades, the unspoken pact between law firms and clients was that clients would pick up the tab for new lawyers’ on-the-job training. When the recession battered revenues, clients renounced the pact once and for all. Perhaps because the “pact” more closely resembled client acquiescence, even with the economy improving, clients have shown little interest in renewing the bargain. Law schools, legal employers, and new graduates each have a role in practical training. But some critics instantly insisted that law schools had to pick up all the slack. In the post-recession, “new normal,” law schools are now “expected to graduate laterals,” Graham Sherr, Assistant Dean for Career Services at Loyola Law School, Los Angeles, aptly noted. Answering the call, many schools have dramatically expanded “real world” training opportunities. Students have also gotten the message, and these programs are now a differentiator for applicants when choosing schools. All first-year Harvard Law School students take a Problem Solving Workshop that allows students to confront client problems. The workshop bridges the gap between academic study and practical lawyering. And Harvard Law’s Office of Career Services embraces technology, providing a plethora of on-demand career podcasts, said Yih-hsien Shen, Assistant Director and Director for J.D. Advising. Drexel University, Thomas R. Kline School of Law provides many practical programs – and goes further. The school reimburses students for career resources, including books and webinars, according to Donna Gerson, Associate Dean for Career Strategies. Professional development at the University of Tulsa College of Law begins before students ever enter the classroom during an intensive, four-day Foundations of Legal Study program. And all 2Ls begin the year with another full day of professionalism training. The Dean of the College of Law, Janet Levit, participates in Professionalism Day, highlighting its importance to students. The school also supplements and reinforces this intensive training with related programs throughout the year. On the West Coast, the UC Berkeley School of Law has instituted a practical skills requirement. All students must take one of several professional skills courses, a legal clinic or a field placement in their second or third year. Berkeley uses Swimming Lessons for Baby Sharks as a text in one of its professional skills courses. These are just a few of the creative ways schools promote practical learning. Professors play a key role in crafting an approach that is consistent with their own school’s culture. • Engage the Career Services Office. The career services office is on the front lines of change in the legal profession and interacts with legal employers daily. The career office can suggest important ways to increase practical skills opportunities. The alumni office can also provide valuable input and may be able to garner funding from law firms. • Take Part in a Gaps Assessment. When assessing practical skills offerings, schools often discover that they provide more opportunities than they expected. Once the school has an inventory of all the ways that students can learn practical skills, the next step is to identify gaps. • Incorporate Legal Problem Solving Into Courses. Professors can often find ways to incorporate problem-solving exercises into their existing classes. This provides students with yet another way to gain practical experience. • Encourage Students to Take Advantage of Professionalism Programs. Students have many demands on their time. They also may be skeptical of the value of “soft skills.” I often hear from recent graduates that they wish they had read Swimming Lessons for Baby Sharks before they made a mistake on the job. Other students have said the book helped them give more compelling interview answers because it helped them understand what legal employers’ value. Your endorsement tells students that professionalism programs are important. Legal employers will thank you.